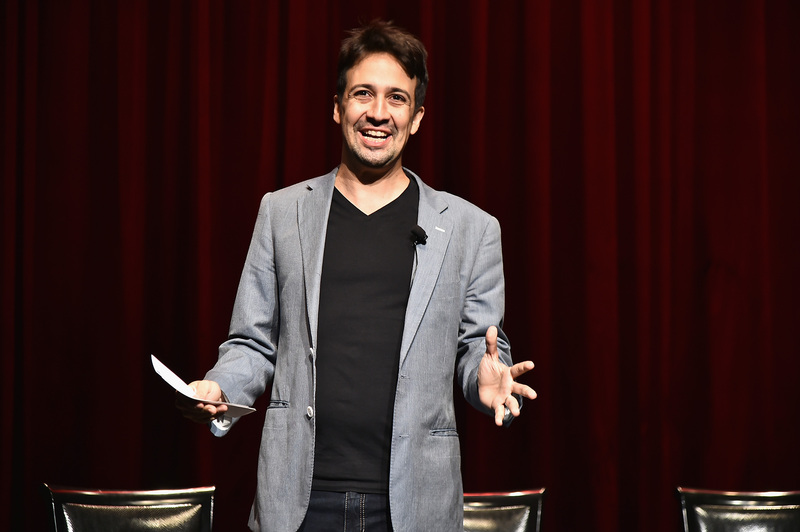 2016 really is the year of Lin-Manuel Miranda. Since leaving his smash-hit Broadway show Hamilton, the ridiculously talented performer has been inundated with offers, and impressive announcements regarding his career just keep on coming. Having co-written songs for Disney's forthcoming animated movie Moana, it seems as though the studio aren't ready to let the composer go: Lin-Manuel Miranda will work on The Little Mermaid. With a much-anticipated live-action Beauty and the Beast movie due out in 2017, and The Jungle Book film being so well-received, it makes sense that Disney would want to recreate The Little Mermaid with an all-star cast. In many ways, Miranda is a safe pair of hands, particularly since his musical Hamilton won 11 Tony Awards in 2016. You can't get much more impressive than that. While the composer is best known for original musicals like In The Heights, he's also worked on movie adaptations. Miranda co-wrote the music and lyrics for Bring It On: The Musical , which was based on the classic teen movie starring Kirsten Dunst released back in 2000. The show ran on Broadway from July to December of 2012, and also underwent a national tour. With a completely different feel to Miranda's original compositions, Bring It On: The Musical was lively, fun, and true to the spirit of the film, making me believe that the performer is the perfect choice to write new songs for The Little Mermaid. Adapting a story into a new format is no mean feat, and working on Bring It On: The Musical must have been an incredible process for Miranda to take part in. Since its release, the original movie version of Bring It On has become a high school teen classic, particularly in its satirizing of cheerleading squads. With several movie sequels also released, Bring It On: The Musical had a lot to live up to, and was part of a much bigger story arc and franchise. The stakes must have been high when developing the musical adaptation of the 2000 classic, but there was also plenty of room to add personality and to mix things up. Working on the live-action version of The Little Mermaid will give Miranda the opportunity to be a part of the adaptation process, to revive a well-known story, and to help create a set of songs that will introduce the Disney classic to a whole new audience. The fact that he's no stranger to converting popular stories into different formats is likely part of the reason he got the job. Miranda is teaming up with Alan Menken, the composer of the original The Little Mermaid songs, and the duo are sure to expand upon the movie soundtrack in the best possible way. The Hamilton star will also appear in Mary Poppins Returns opposite Emily Blunt. Clearly, Disney are keen to work with the composer as much as possible, and believe he's the perfect person for their musical movie endeavors. I don't know about you, but I can't wait to see all of Lin-Manuel Miranda's collaborations with Disney immediately.